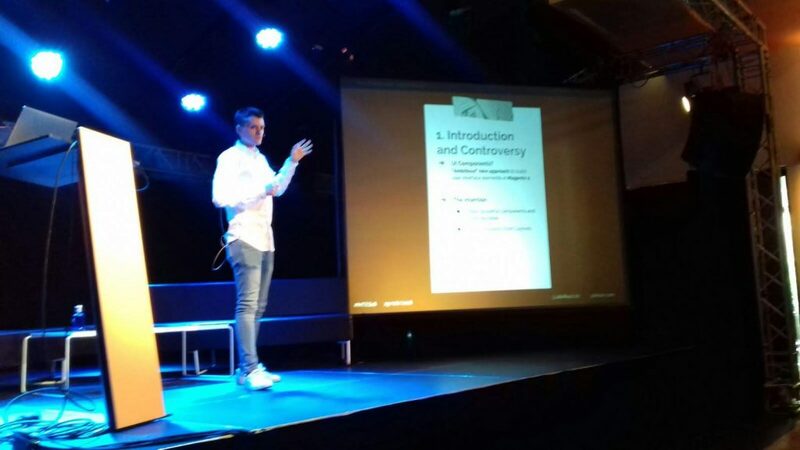 On June the 29th, I gave a presentation at the MageTitans España 2018, in Valencia. 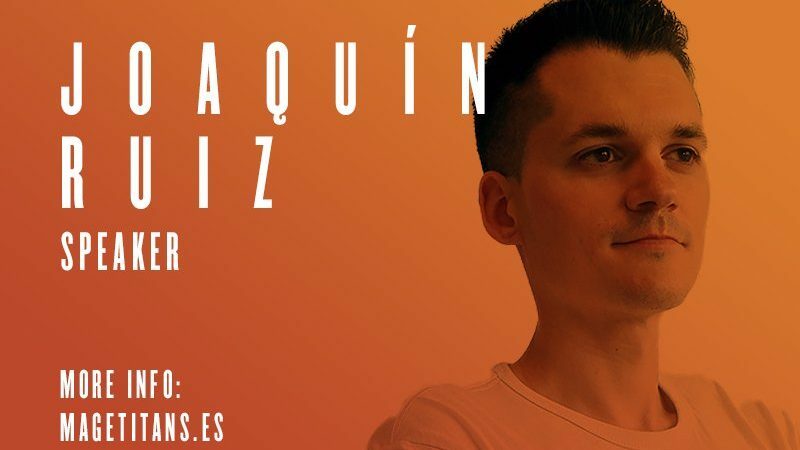 The second edition of a MageTitans in Spain, organized by Onestic. The MageTitans are events for Magento Developers, designed and curated by RealMagento Developers (as Magento says 😉 ). The UI Component… Ally or Enemy? 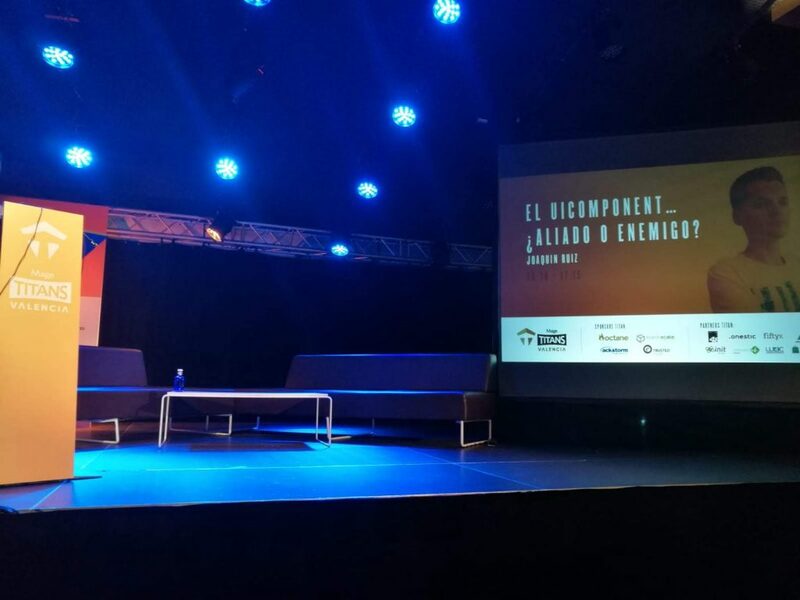 The title of my presentation was The UI Component… Ally or Enemy? The Magento 2 UI Components are considered by a large part of the Magento community to be one of the most painful (new) features of Magento 2. An example of this is this post by Vinai Kopp in the official Magento 2 repository.This presentation shows you that if we understand the logic behind the UI Components, and we follow the correct steps, the UI Components can be an ally rather than an enemy. Find the slides here: The UI Component… Ally or Enemy? For me, it was a great experience to give a presentation in front of such a high level audience. The networking was great, with Coffee and Lunch breaks, and a great after-party at the Port of Valencia. 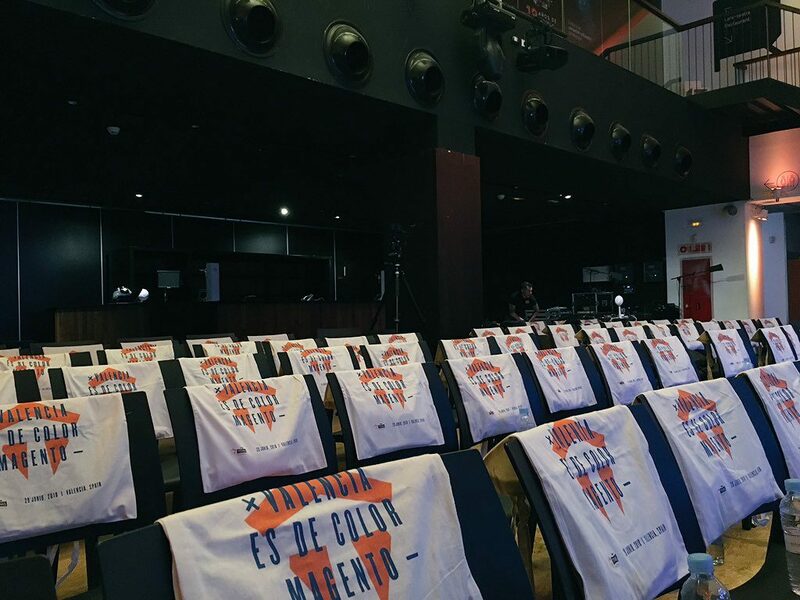 The Event, very well organized by Onestic and with the collaboration of the most important Magento partners in Spain, was a big success, with very interesting presentations, and a great opportunity to meet and discuss with the Magento community (not only the Spanish one) like every year. This year, the main point of the round table was the PWA in Magento2. The event had also some claims, like the one from DevWomen ES, that seek more women in development.